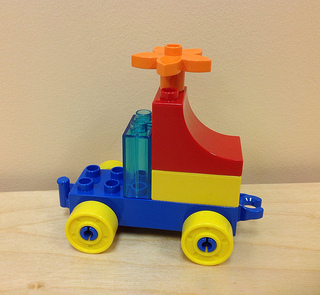 Drop in for an open session of imaginative construction with DUPLO® (ages 2-5), and EDU-BLOCK® (ages NB-2). We supply the blocks, so please leave yours at home-- just bring your ideas and start building! Your creations must be left at the library, but may be photographed before deconstruction. All children must be accompanied by an adult at all times. Sponsored by The Friends of the Library, Damascus Chapter. Drop-in, no pre-registration. A summertime STEM program for children and families.